This lavishly renovated monastery sitting in the shadow of the Prague Castle is everything you want in a quintessential European getaway. The Augustine, a Luxury Collection Hotel fits right into Prague’s picturesque Malá Strana district. Set across a maze-like collection of seven buildings which formed part of the St Thomas Church and Monastery, few hotels capture the essence of Europe’s cultural capital quite like this hotel. At the Augustine, a Luxury Collection Hotel, Prague, there is a delicate magic to how the hotel blends monastic austerity with modern luxury. It’s in the religious statues, ceiling frescoes and ornamental iron fixtures of the buildings, which interior designer Olga Polizzi perfectly blended with modernist furnishings and artworks. But where the rich history of the hotel really shines through, is the stone-floored and brick-walled Brewery Bar where monks first concocted the particularly fine-tasting St Thomas's beer in 1352, or in the monastery’s secret library , stacked with centuries-old books. 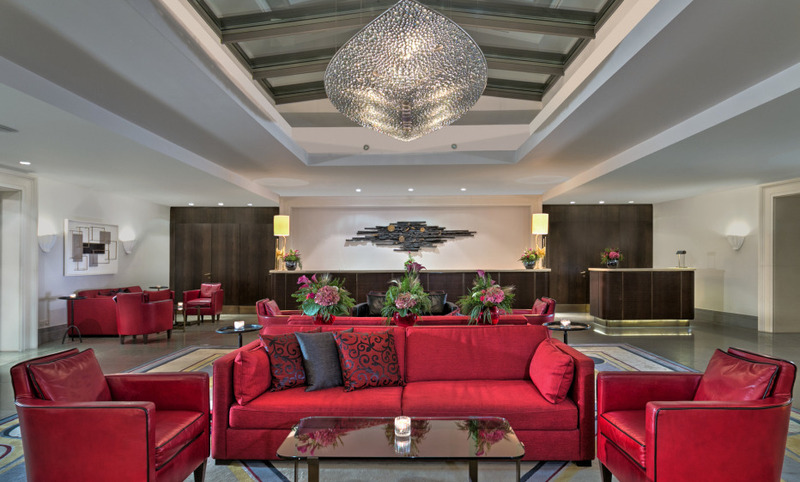 A stay at the Augustine is a true taste of Prague's history and beauty, and the location of the hotel, sitting right below the Prague Castle, doesn’t hurt either. Designed in 1930's Czech cubism style. The hotel still serves St. Thomas Beer brewed according to the original recipe of Augustinian monks from 1352. The complex includes the working Augustinian monastery with its ancient library. Quiet and very well located in the historical center of the city .. magnificent renovation and beautiful contemporary decor. Excellent and relaxing atmosphere. The concierge was excellent in every way and arranged for late checkout when our flight was delayed.